The leader of the Liberal Democrats has denied suggesting Brexit supporters are racist after attacking white nostalgia in a major speech. 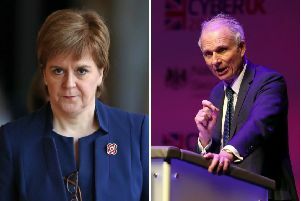 Sir Vince Cable faced criticism after telling his party’s spring conference that too many of those who voted for Brexit were “driven by a nostalgia for a world where passports were blue, faces were white, and the map was coloured imperial pink”. Liberal Democrat leader Sir Vince Cable has denied claiming Brexit voters were racist. Conservatives attacked the comments as “unfair” and called for him to apologise. But he insisted that “nostalgia for that world” was a factor in how people had voted. He said one of the most effective pieces of “propaganda” during the referendum had been an advertisement unveiled by then Ukip leader Nigel Farage showing a queue of non-white people with “breaking point” written in large letters. Sir Vince also used his speech on Sunday to warn the “toxic” fall-out of the Brexit referendum was fuelling the rise of the populist right in Britain. He told the conference in Southport that the divide opened up by the June 2016 vote had left the country mired in a “protracted, non-violent civil war”.